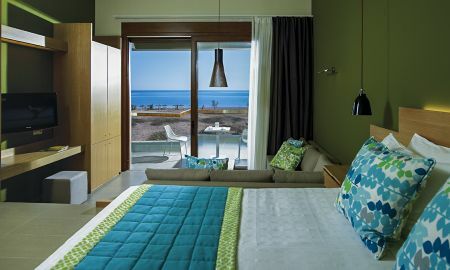 Tucked away by Agia Anna beach, one of the most picturesque parts of Greece, in northeast Evia, the Thalatta Seaside Hotel is nestled between verdant hills and clear blue sea. Offering luxurious rooms and suites, open restaurants and lounges, a large pool, near a vast beach, the Thalatta Seaside Hotel is built so that guests can relax and enjoy themselves in spacious surroundings. Enjoy the shingle beach, practice yoga, or pamper yourself with a private spa treatment. Guests can experience sophisticated dining at the hotel's restaurants, or try the Thalatta private dining experience by the beach or in the Exedra lounge. Gym facilities are also available. 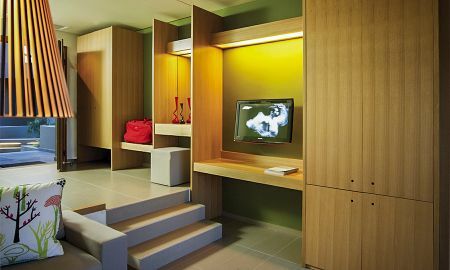 Thalatta Seaside Hotel is 2 hours from Athens, with Volos International Airport 82 km away. The lush green forests, secluded ravines, clear-flowing streams, waterfalls and immaculate beaches make north Evia one of Greece's true hidden gems. Blessed with real natural beauty, it boasts places of ecological, historical, religious and archaeological interest.